Chronic Ink Tattoo had the opportunity to build a strong digital presence despite the fierce competition in the tattoo industry. 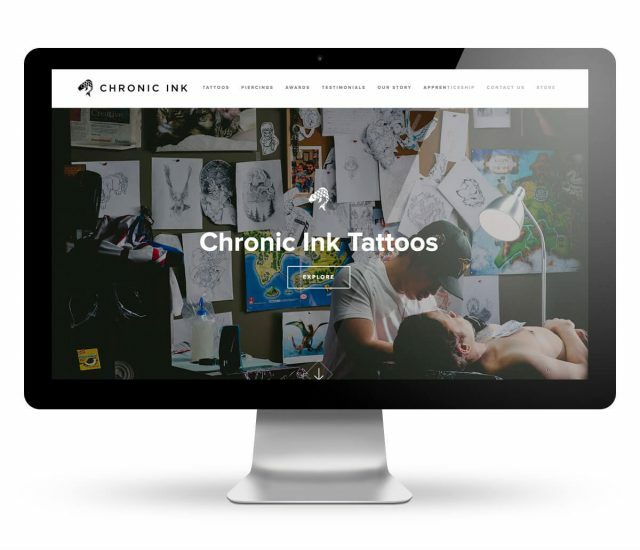 Chronic Ink Tattoo quickly realized the effectiveness of differentiating themselves from their competitors through a strong search and digital presence. Uniquely positioned to become the top tattoo shop in the city, Chronic Ink enlisted Pedestal’s help to grow their business. Chronic Ink Tattoo is a Toronto-based tattoo and piercing shop home to some of the most renowned artists in Toronto. The shop was found in 2008 and quickly grew into one of the best tattoo shops in the city. Chronic Ink Tattoo’s artists have won numerous awards and many artists are booked years in advance for their services. The Pedestal online marketing program sought to increase the number of tattoo and piercing bookings. A secondary goal was to strengthen Chronic Ink Tattoo’s reputation as a top-rated tattoo and piercing shop in order to build trust and drive growth. Beginning with a Search Engine Optimization (SEO) audit and digital opportunity assessment, Pedestal devised a plan for driving more relevant traffic and bolstering Chronic Ink Tattoo’s online presence. After fixing technical issues on the website, Pedestal conducted keyword research and organized the digital strategy around these terms that would provide strong ROI. The plan consisted of blog content written to increase brand engagement and visibility on search engines, an AdWords Pay-Per-Click campaign to build qualified traffic, and social media campaigns to take an active role in the vibrant tattoo & piercing community. Pedestal now works with Chronic Ink to identify new trends in the tattoo and piercing world that Chronic Ink can increase their market share in. Pedestal is also making continuous improvements to the Chronic Ink website to improve the user experience. Top artists are booked 3 years in advance. The shop dominates search engine results for targeted keywords. Chronic Ink out-competes other shops on AdWords. Competitors who try AdWords drop out shortly after they begin, unable to compete with the level of optimization in Chronic Ink’s campaign. A third shop is opening near Toronto’s famous Dundas Square in Summer 2017.